Bringing together Mary Klages's bestselling introductory books Literary Theory: A Guide for the Perplexed and Key Terms in Literary Theory into one fully integrated and substantially revised, expanded and updated volume, this is an accessible and authoritative guide for anyone entering the often bewildering world of literary theory for the first time. Each chapter now includes reflection questions for class discussion or independent study and a cross-referenced glossary of key terms covered, as well as updated guides to further reading on each topic. 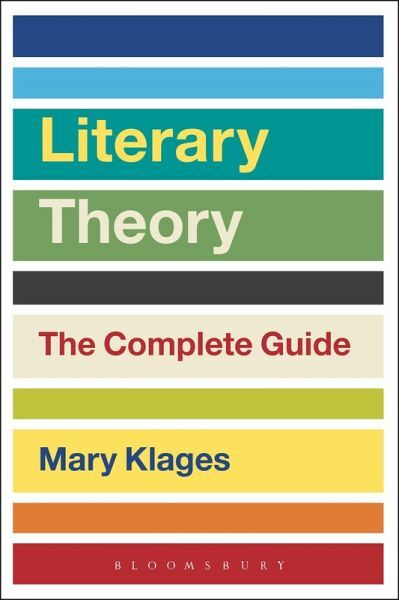 Literary Theory: The Complete Guide is an essential starting point for students of critical theory. Mary Klages is Associate Professor of English at the University of Colorado at Boulder, USA. Her publications include Literary Theory: A Guide for the Perplexed (Bloomsbury, 2006) and Key Terms in Literary Theory (Bloomsbury, 2011).